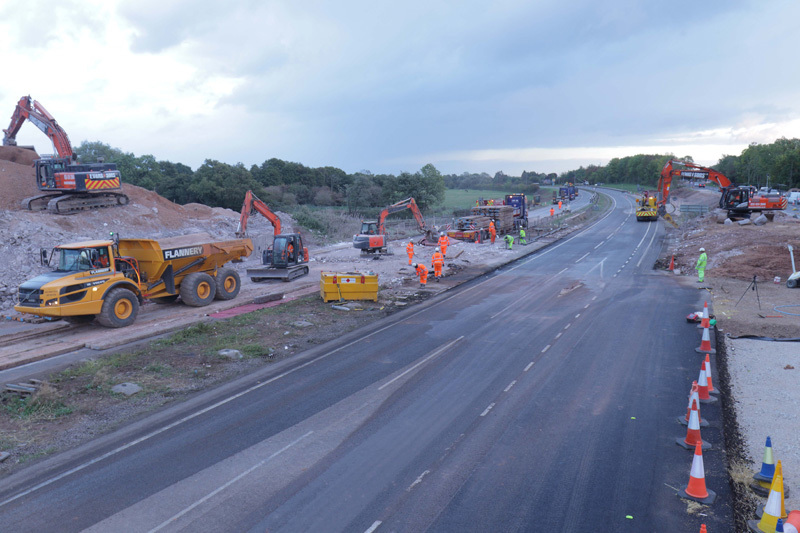 The £40 million A50 Growth Corridor Project is being delivered by Staffordshire County Council and Tarmac Construction on behalf of Highways England. 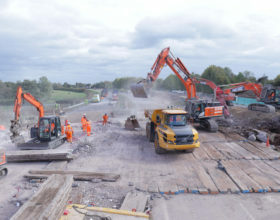 The project is designed to ease congestion and offer easy access to the 700-home Bramshall Meadows housing development without traffic being driven through Uttoxeter. 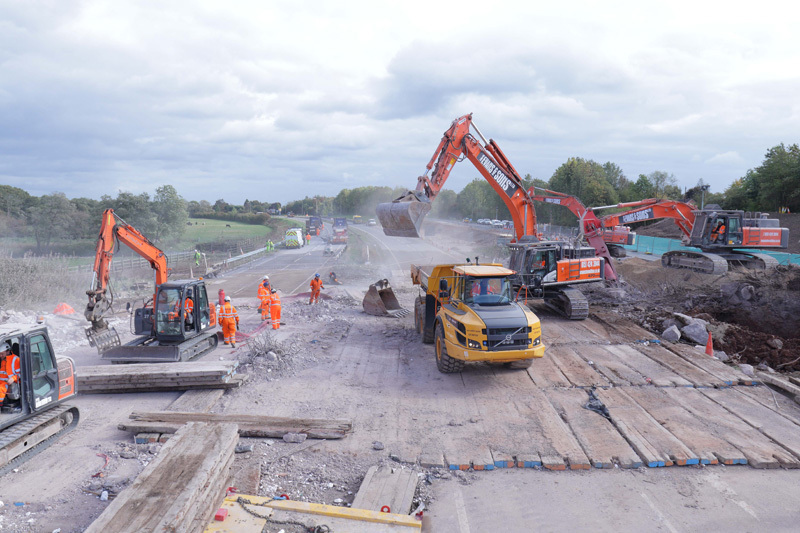 The works include a new bridge, three roundabouts, new slip roads and link roads, including the demolition of existing A522 overbridge. 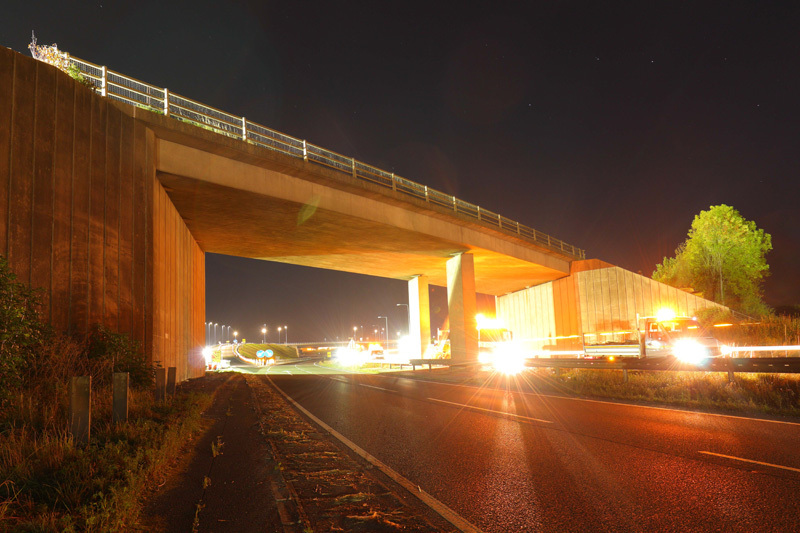 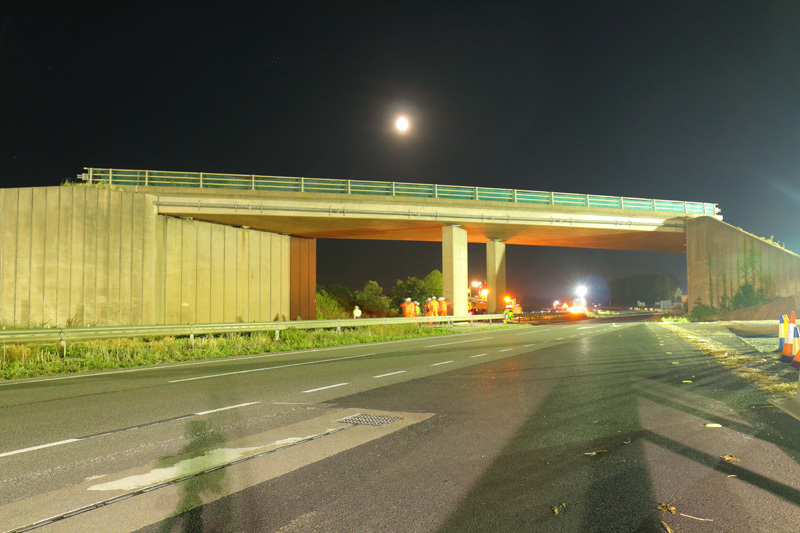 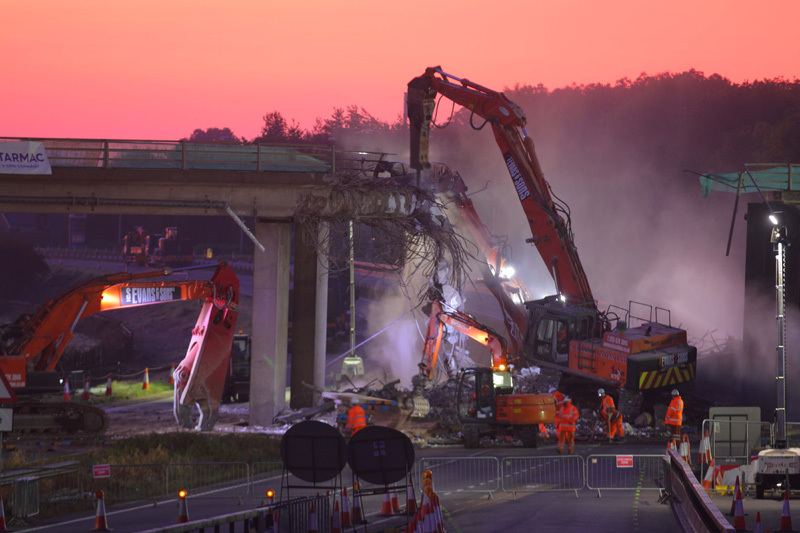 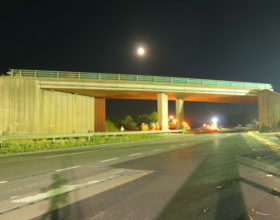 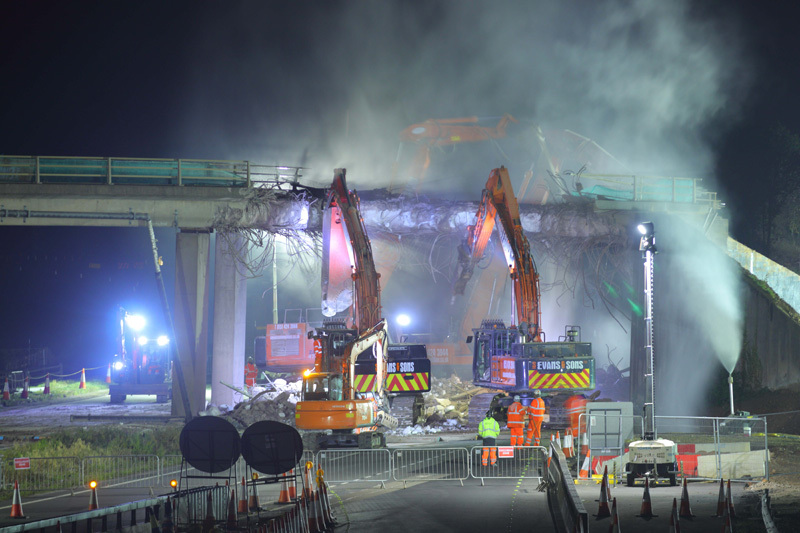 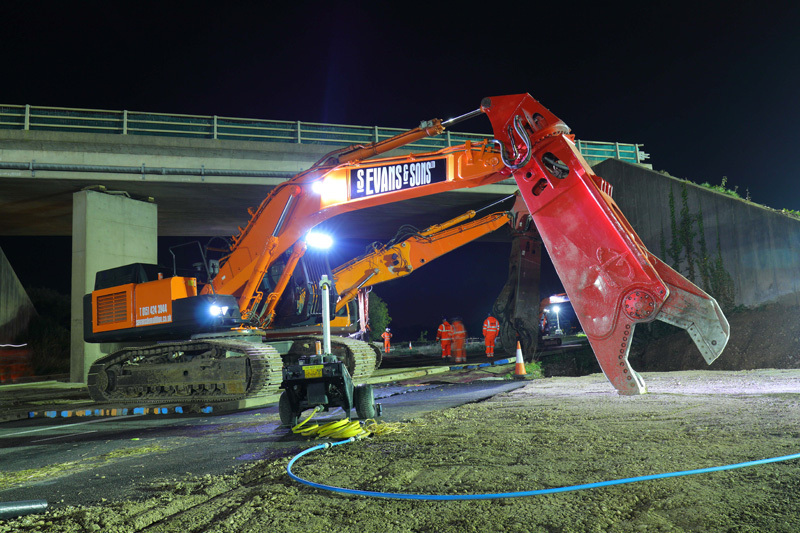 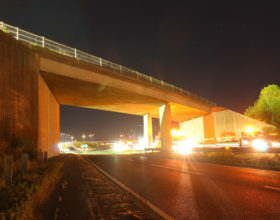 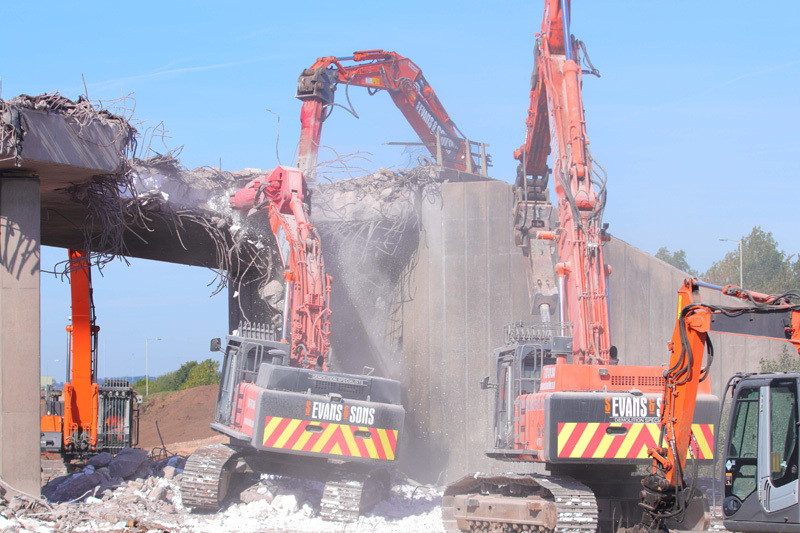 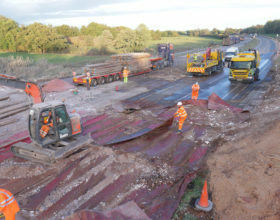 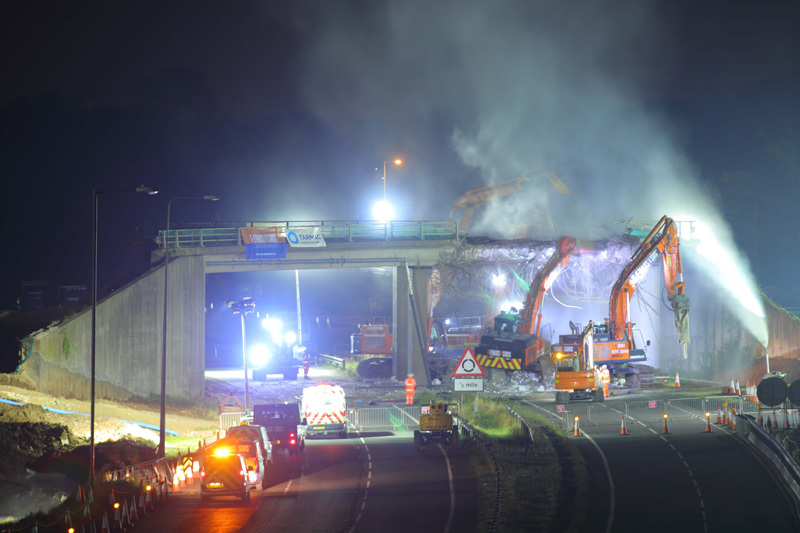 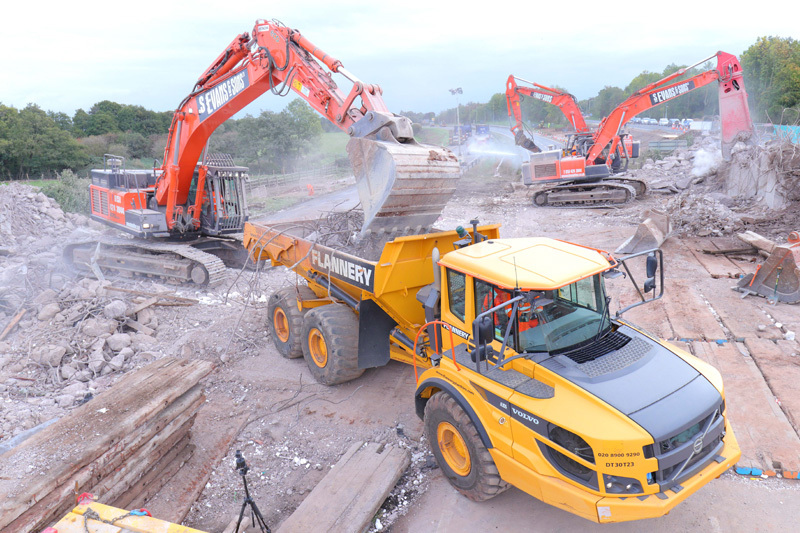 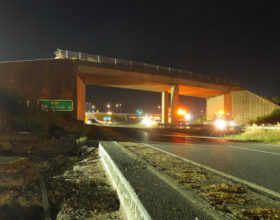 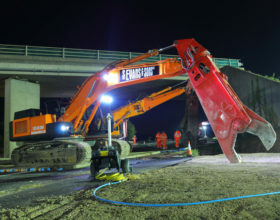 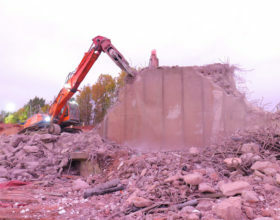 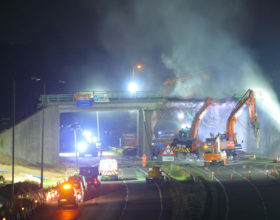 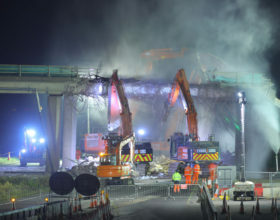 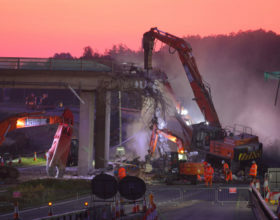 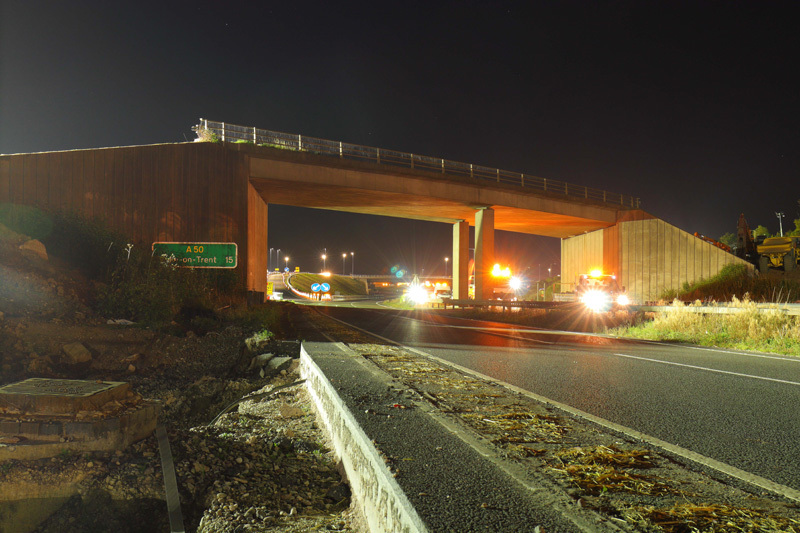 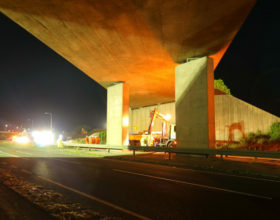 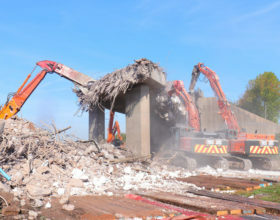 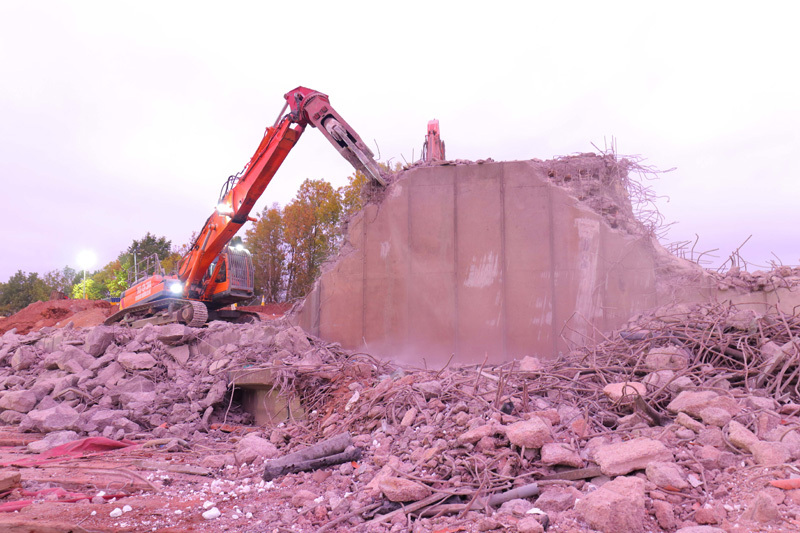 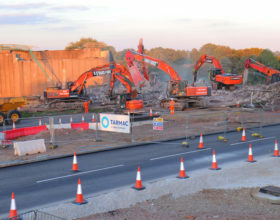 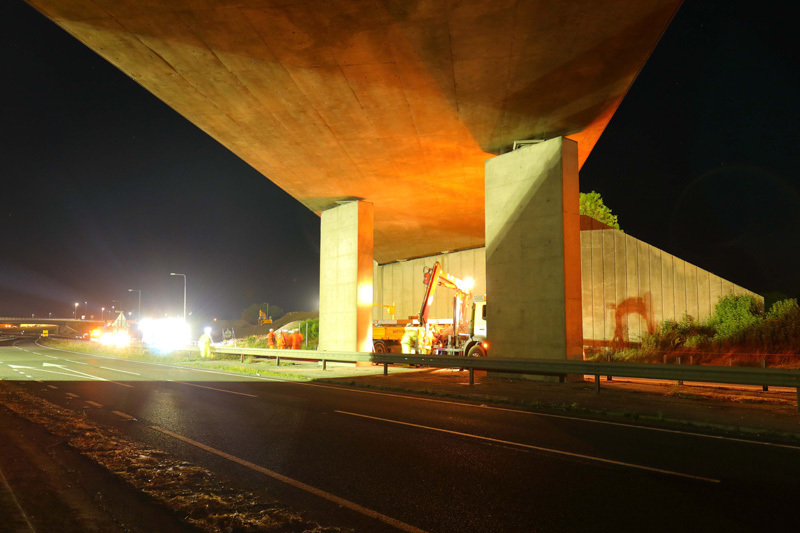 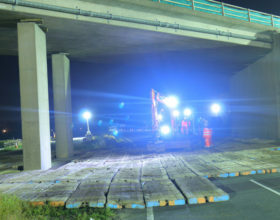 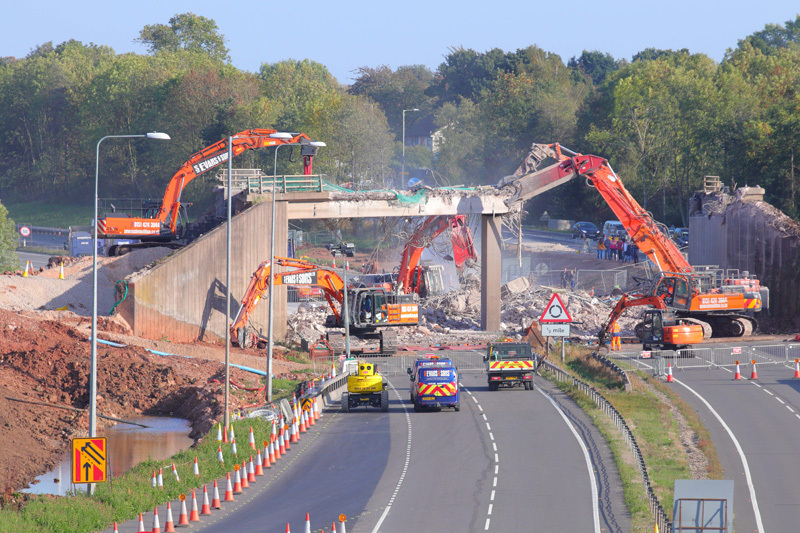 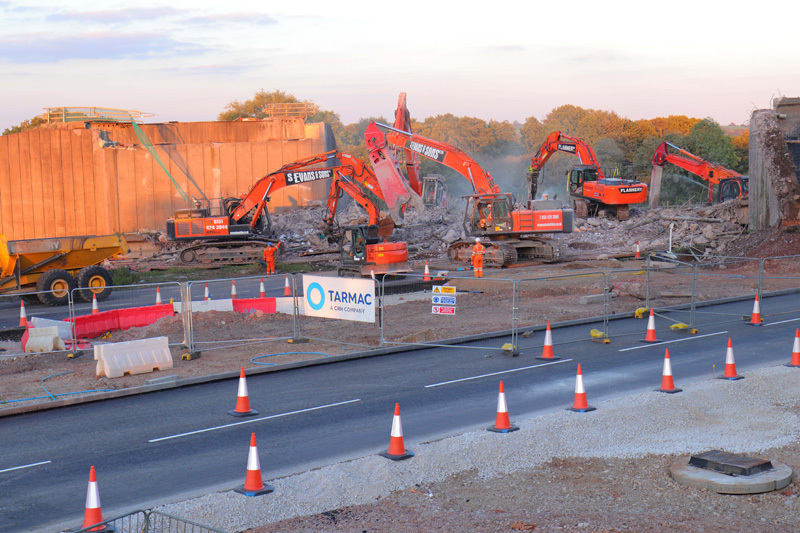 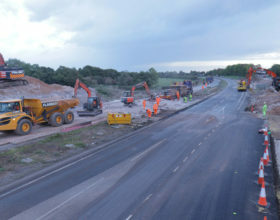 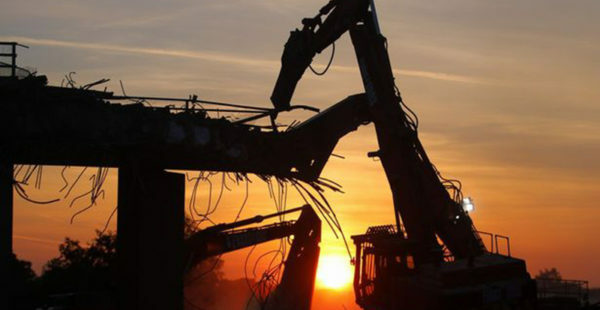 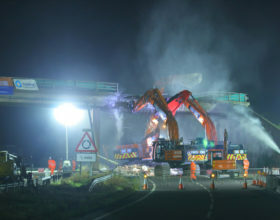 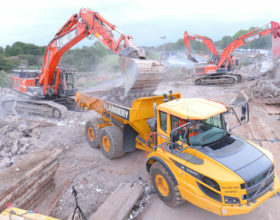 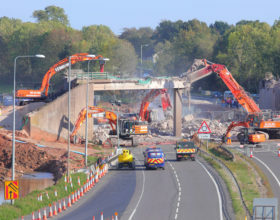 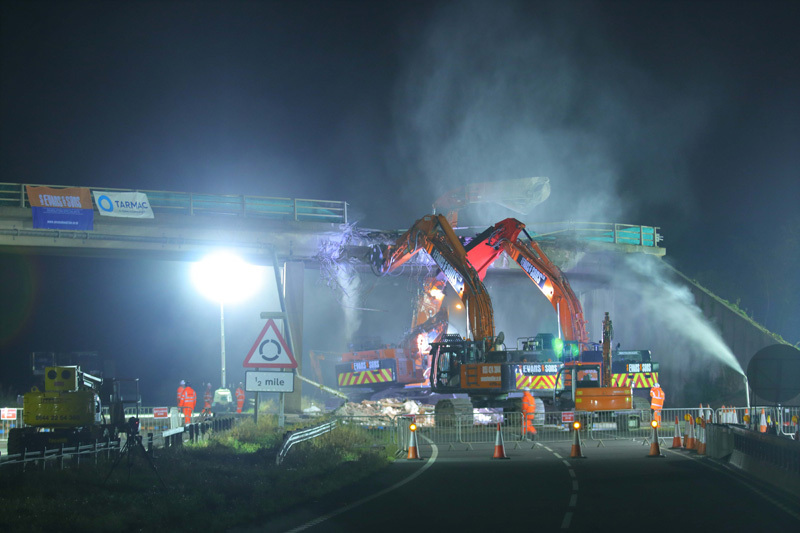 The ‘old A50’ bridge carrying the A522 over the main A50 dual carriageway was demolished by an army of demolition machines between 8.30 pm Friday and 3.15am Monday morning to ensure the A50 dual carriageway could reopen in time for the morning commutes. 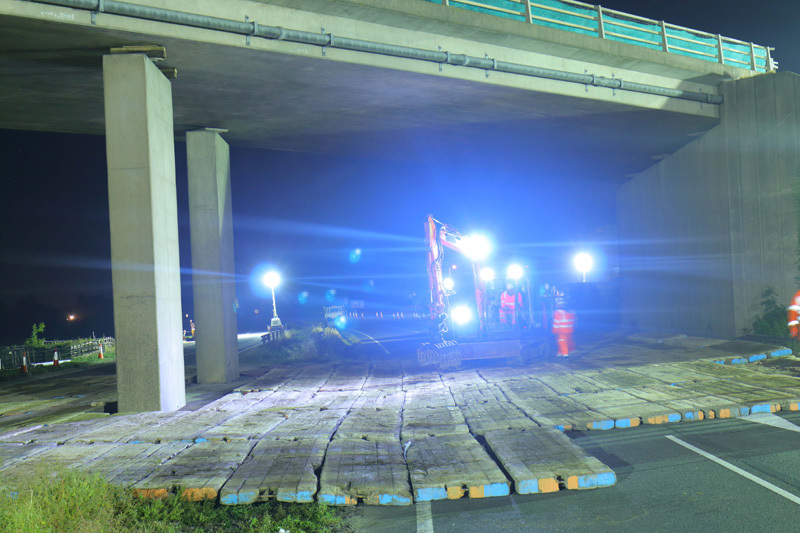 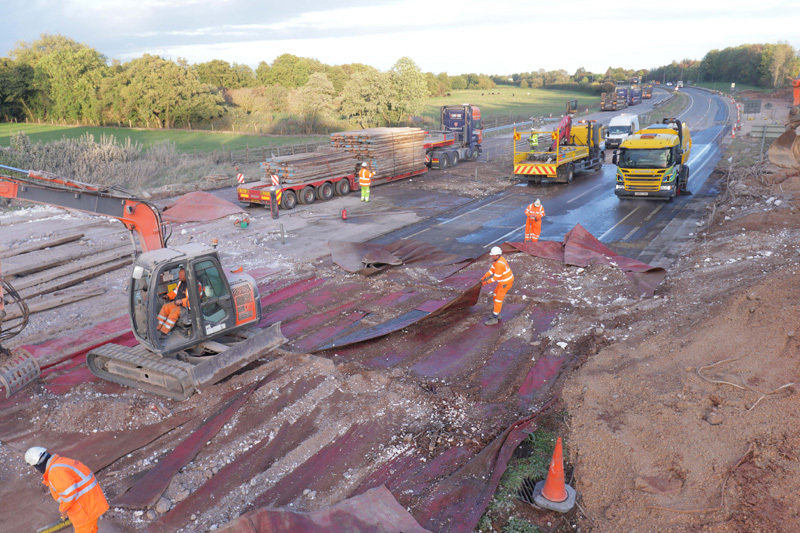 PaSCoE were employed by Tarmac to undertake stability checks on the bridge deck and abutments at each stage of the demolition, together with checks on the timber protection mats to ensure the road surface was not damaged due to demolition activities. 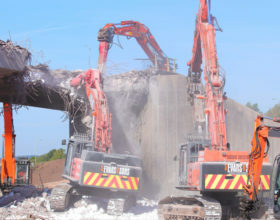 Crucial to the successful demolition within the given time period was advance preparation works involving the removal of the fill to the rear of the abutments, PaSCoE being able to demonstrate that this was possible without compromising the stability, together with contingency planning to ensure any structures remaining beyond the weekend closure would be stable and would not cause safety issues to users of the A50. 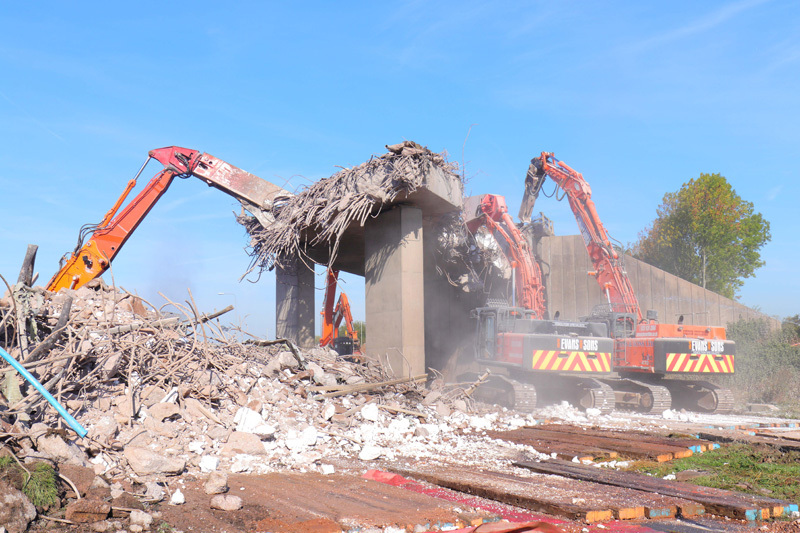 All material from the bridge is to be recycled and PaSCoE designed an access ramp up the highway embankments as a means of quickly removing the demolition material off the road and into a temporary storage area using 40t dumpers.